Schefflera is a plant commonly found in houses, apartments and offices. 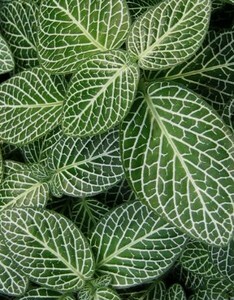 It is appreciated for the beauty of its foliage and its great ease of care. 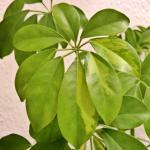 Care, pruning, watering and treatment, follow this advice to grow a beautiful schefflera and avoid having it fall sick. 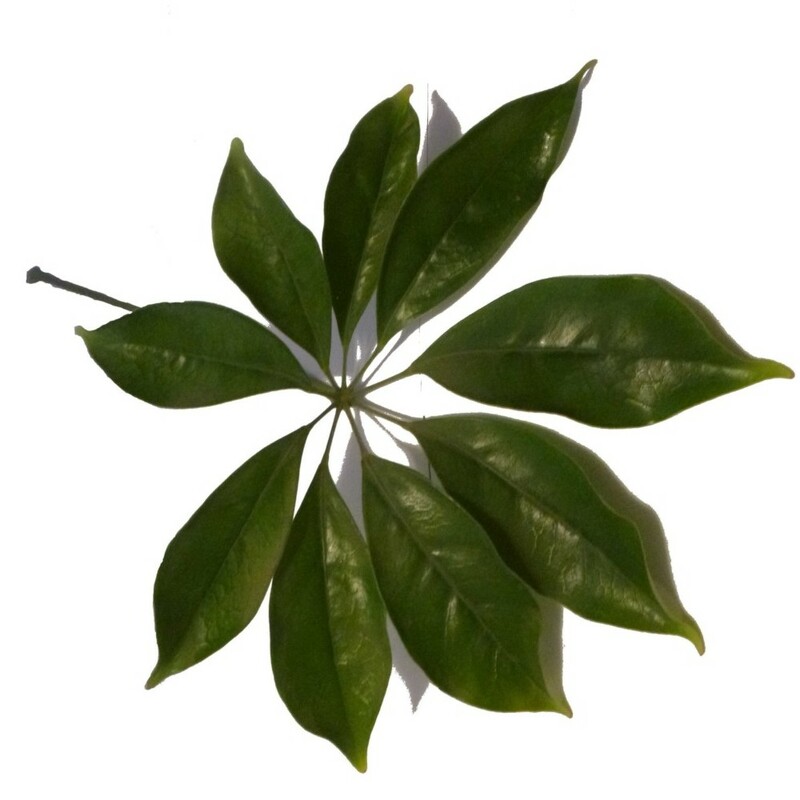 Schefflera is one of the shrubs most often found as an indoor plant for the beauty of its leaves and its resilience. It is also often present in office spaces because of its care-free growing and capacity to survive being ignored. 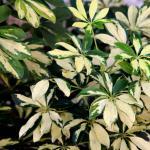 Schefflera is quite tolerant as regards exposure, watering and temperature levels of where it stands. Indeed, it does just great in a room where temperatures might range from 55 to 72°F (12 to 22°C). Best still to avoid brutal temperature shifts. It must be set in a luminous room but cannot be exposed to sunlight. It can tolerate veiled light but dotes most on bright light. Watering is needed when the soil is dry, but not abundantly and preferably with water at room temperature. 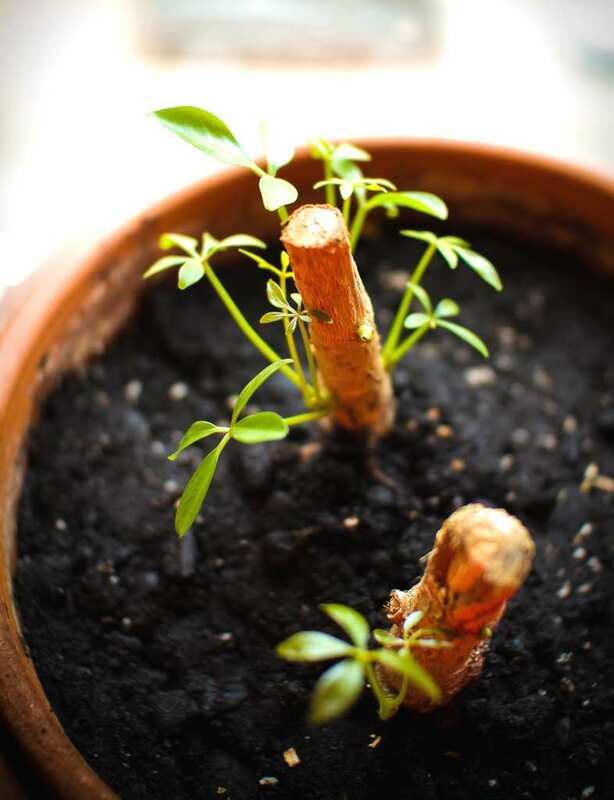 Every 2 or 3 years, you must repot your schefflera. Refer to our guidelines on how to repot your schefflera. It is important to prune schefflera stems for it to branch out. This means pinching the tip of the main stem so that new lateral shoots may develop. You can renew this step several times. Quite common for schefflera, this is normal as long as leaf loss is regular and not too many are falling. In case of leaf loss, check that it is well watered, and eventually proceed to topdress the pot. This is usually due to mealybugs or scale insects. 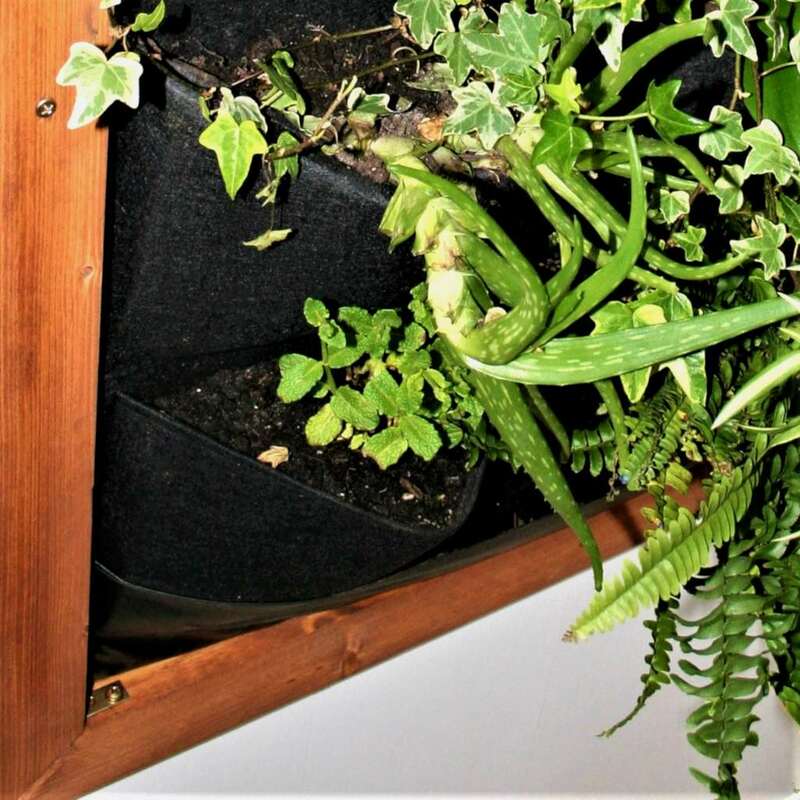 Feel free to mist the leaves on a regular basis, this will increase leafage quality and keep the leaves from drying up. 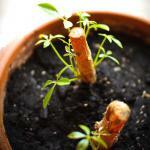 It’s actually easy to propagate your schefflera – simply prepare cuttings from the stem. Snip pieces of woody stems about 4 to 6 inches long and remove leaves (mark which side goes “up”). In a pot of moist soil mix, make a hole with a finger or pencil and slide the bottom of the stems in. Keep the soil mix moist but not waterlogged. Leaf buds should form at junctions where you removed the leaves from earlier, within a month. 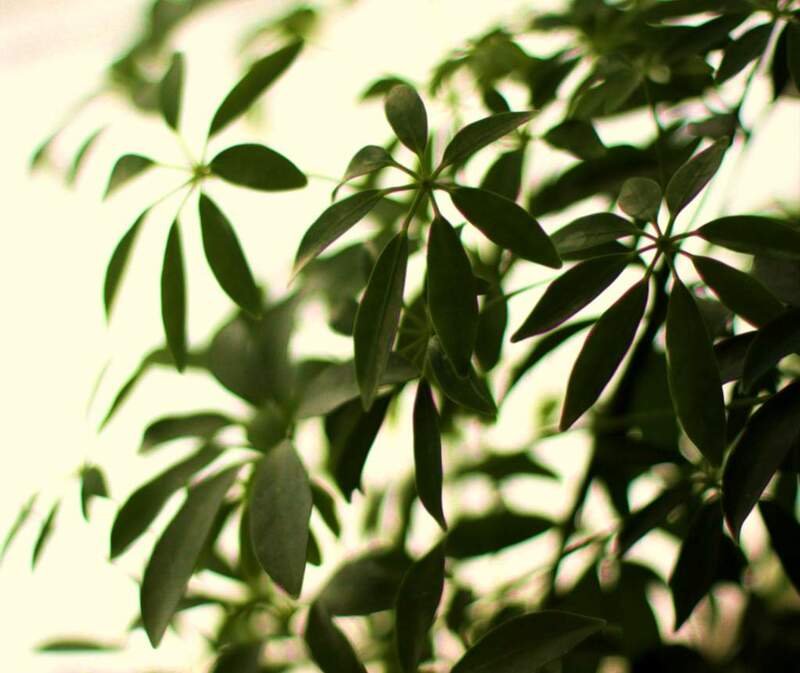 Cuttings is a sure way to replicate your favorite schefflera. 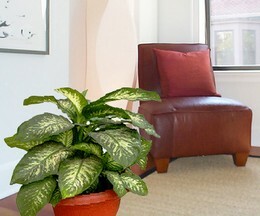 This is especially relevant if you want to keep mutations such as the particularly variegated schefflera, shown right. 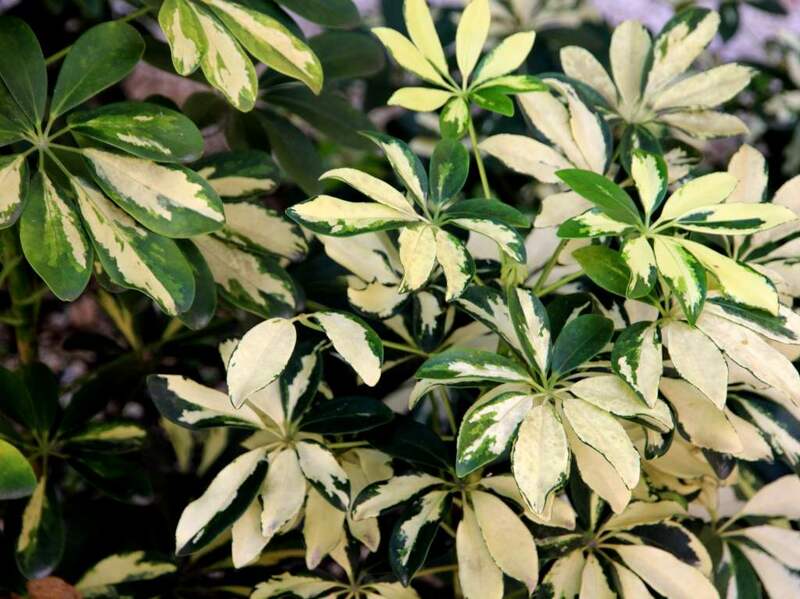 Variegated schefflera plants require more sun than the more conventional, green varieties. With a pot or garden box and regular topdressing, your schefflera can grow to reach a magnificent 6 to 10 feet (2 to 3 meters) tall!